Situated in the lap of monstrous Himalayan ranges it would be truly legitimate to call Nepal a wonderland of the Himalayas to travel. Surrounded by the heavenly mountain ranges including the highest peak of the world Mt. Everest (8848m), Nepal is a paradise on earth with the unique blend of rich culture and tradition. From lowlands of Terai to the high Himalayas, Nepal boasts some of the most diversified sheer vistas on earth. The soaring Himalayas offer the heavenly vistas and the plain lowlands of Terai offer the aliments to the whole nation. Geographically, Nepal is a landlocked country abutted by India in the south and China in the north. Nepal ascends from as low as 59 meters in the equatorial Terai in the northern edge to 7,000 meters including the world highest peak Mt. Everest (8848m). Out of total land on earth’s surface, Nepal only covers 0.1% of the total area of 1, 47,181 square kilometers. With three main geographical regions; the gigantic Himalayan belt in the north, the hilly region in the center and lush plain Terai in the south, Nepal boasts the world’s deepest river; Kali Gandaki River. Nepali is the national language of Nepal alongside more than 70 other spoken languages. Alongside the world’s sky soaring summit Mt. Everest (8,848 m), Nepal also host seven other highest peak of the world, namely; Mt. Kanchenjunga (8586m), Mt. Lhotse (8511m), Mt. Makalu (8462m), Mt. Cho Oyu (8201m), Mt. Dhaulagiri (8167m), Mt. Manaslu (8163m) and Mt. Annapurna (8091m). Nepal is blessed enough to acquire these most majestic and beautiful Himalayan ranges. These Himalayan ranges have been correlated to myriad myths and esoteric critter since ages but lack the credible testimony. People in Nepal have a religious belief that Lord Shiva used to reside in these iconic mountains. 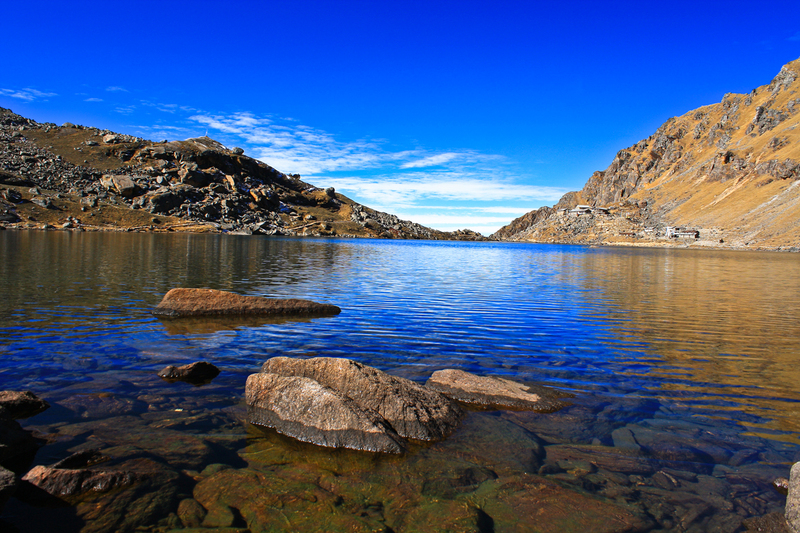 After 1994 AD Nepal became the ultimate destination for holidays. These enchanting mountain ranges are the center of attraction for people worldwide. Nepal’s instinctive divergence is that one thing continually intriguing people to the furthest. The assorted variety of trekking in Nepal can’t be discovered anyplace else on the planet. Voyagers from everywhere throughout the world prefer Nepal for a restrictive empiricism of the sensational Himalayas and test their guts. The verifiable truth that Nepal possesses eight out of ten soaring peaks in the world also clarifies its monstrous mountain activities. The most popular Himalayan trails of Nepal are Upper Mustang, Annapurna Trek, Everest Base Camp, Langtang Base Camp, Ghorepani-Poonhill, Rara Lake, Gosainkunda and many more. It is not possible to mention them all for us but these are the most fascinated trekking trails of Nepal enchanting people around the world. These treks can vary from the most rudimentary basal and unwinding one to the most strenuous and difficult one. Some trials might be arduous and may demand the most physical efforts that you may have ever undertaken but the satisfaction of reaching the goal is worthy of every pain around the trek. Throughout your journey to these iconic Himalayas, you will come across the Himalayan culture, tradition, and lifestyle which can be a life-changing experience for one. The exceptional beauty and the rich culture are likely to blow you more close to nature. Nepal’s great Himalayan trails are the best destination for those in absolute search of adventure travel. Moreover, for those with limited time but willing to explore the extremes of Nepal’s beauty, a helicopter tour to the topmost destination of Nepal bestowing not only the heavenly vistas of mountains but also giving an insight to the profound valleys on the way. Apart from grandeur Himalayas, Nepal is well renowned for its historic sightseeing sites. Nepal holds a glorious history and every heritage sites grasp a mysterious story. UNESCO has recorded number of world heritage list; Kathmandu valley and Lumbini as cultural sites and Chitwan National Park and Sagarmatha National Park as natural sites as among few. Within these four regions, Nepal boasts 10 World Heritage Sites listed in UNESCO. Kathmandu valley alone hosts seven out of ten world heritage sites they are; Pashupatinath temple; famous for the devotees of Lord Shiva, Boudhanath Stupa; one of the largest stupa in the world and the most sacred place for Buddhist, Swayambhunath Stupa; popularly known as monkey temple is an old religious complex for both the followers of Buddhism and Hinduism, Kathmandu Durbar Square; famous for its medieval craftsmanship and used to be the royal palace of erstwhile Kathmandu kingdom, Patan Durbar Square; an architectural heritage with numerous temples and idols, Bhaktapur Durbar Square; known as 55 windowed palace and Changunarayan; an ancient Hindu temple where Nepal’s history inaugurates. There is a famous religious myth about the archival Kathmandu valley. It is believed that Kathmandu valley once was a lake where lotus used to float all around. Manjushree once saw a blazing flare coming out of a lotus so he stroked his sword over the hill and let the water flow away to have a closer look. And later the bright flame and lotus revolved into Swayambhunath Stupa. Likewise, Lumbini; birth place of Lord Gautam Buddha is the one of the world’s important spiritual site. Within the religious Mayadevi gardens, you can stroll more than 25 international Buddhist monasteries, study Buddhism and tour over the birthplace of Lord Buddha. The famous pillar named “Ashoka Pillar” erected by Ashoka himself resides here in Lumbini. Royal Chitwan National Park is the major attraction of tourist. The enchanting jungle safari bestows you the chance to encounter Nepal’s wildlife including the glimpse of royal Bengal tigers. 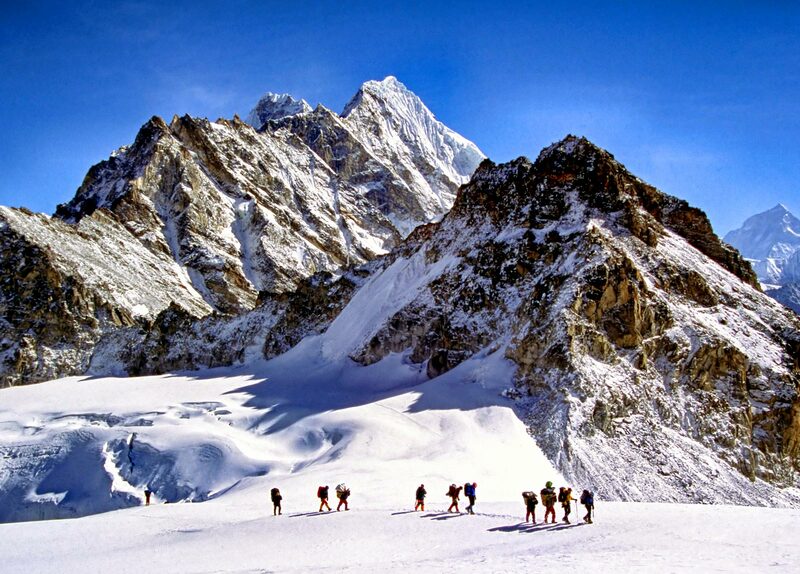 Sagarmatha National Park an ensured territory in the Himalayas of eastern Nepal that is dictated by Mount Everest. Nepal is equally rich in its religions, culture, and traditions. Here people belonging to a different ethnic group and religions cherish their own culture and traditions, use their traditional dialect and way of living and live in religious tolerance. Despite having diversity in culture and traditions, people have the feeling of brotherhood for each other. Nepal comprises of the highest number of Hindu followers, approximately 81.3%. Similarly, Buddhism is the second most followed religion after Hinduism (9.0%) alongside followers of Muslim 4.4%, Kiratist 3.0%, Christian 1.4%, Sikhs 0.2%, Jains 0.1% and 0.6% follows other religions. Customs, traditions, and religions in Nepal contrast from one corner to another. Hindu reveres the antiquated Vedic gods. They regard Brahma as the creator of the universe, Vishnu as the preserver of the universe and Shiva as the destroyer. Devotees of Hindu preach “Kumari” as the living God. The virgin goddess, Kumari is also a symbol of Shakti, the dynamic component in the female correlate of Shiva. From the Newari caste of Shakya, the Kumari is chosen. She must possess thirty-two excellences which include unsullied body, a voice of a bird and neck of a duck. To be hailed as a living goddess the girl should not cry or show any kind of fear. To examine her audacity the girl is closed in a room filled with immolated heads of animals, the one who turns out to be fearless is hailed as the living goddess. Lord Buddha is praised by both the followers of Hinduism and Buddhism in Nepal. The diversity in the religions and traditions in Nepal makes a room for diversified set of customs. The greater part of these traditions backpedals to the Hindu, Buddhist or different religious customs. The rundown of traditions and customs in Nepal is so protracted and assorted that one could compose an entire book about it. Well some of the most cherished customs of Nepal includes Nuwaran, Pasni, Bratabandha, Bel Bibaha, Bahra, Janku, and Sky burial etc. Nuwaran is a child naming ceremony inaugurated from beliefs of Hindu which is celebrated after the 8th days (for baby girls) and 9th days (for baby boys) of the birth. Amid the naming ceremony, as indicated by time and date of birth of the child and calibration of the stars, a celestial prophet decides a favorable beginning letter for the youngster’s original name alongside its length. In Sherpa community, the child is given his/her name after the day on which she/he was born. Likewise, Pasni is a rice feeding ceremony of a newborn which is celebrated in the 5th month after the birth of daughters and 6th months after the birth of son. In rice feeding ceremony, the child is bolstered food other than mother’s milk for the first time. Pasni further symbolizes the surge of the newborn to the next stage of life. And Bratabandha is a ceremony that implies the upheaval from the adolescence to masculinity. Midst the commemoration, the boy’s head is turned into bald and a series of liturgy are performed. In Hindu communities it is believed that the rituals performed amid the ceremony symbolizes the banishment of boy particularly indicating the exile of Lord Ram whereas Buddhist communities regard the rituals as the symbolization of Buddha’s dereliction of mundane pleasure and evolution into a monk. Similarly, Bel Bibaha is a ceremony belonging to Newar community. Bel Bibaha also known as “Iha” is a ceremony in which almost juvenile girls (belonging to age group under 12) are married to wood apple fruit called “Bel”. Bel regarded as bridegroom is believed to be the emblem of son of Lord Shiva; Lord Kumar. The importance of this custom is to assure that the young lady stays virtuous and fruitful during her life span. Nepal a land of colorful festivals celebrates more than 50 significant festivals every year. Most of the religious festivals are celebrated as claimed by the lunar calendar while other national festivals have fixed dates. The festivals are divided on the basis of religions here. Dashain, Tihar, Mahashivaratri, Holi, Ghode Jatra, Krishna Janmastami, Teej, Chat Puja and Indra Jatra are some of the major festivals belonging to Hindus. Likewise, Losar and Buddha Jayanti are celebrated by Buddhist alongside Muslims celebrate Eid and Christians celebrate Christmas. Dashain is one of the major festivals of Hindus which falls in the month of Kartik. Dashain is the longest festival which lasts for fifteen days and ends on the full moon day. Throughout the festival goddess, Durga is worshipped in all her manifestations. Red tika is put on forehead and blessings are received from elders. The sky gets covered with colorful kites and faces are filled with smiles. Tihar is the festival of lights which lasts for 5 days. The goddess of wealth “Laxmi” is worshipped throughout the festival. Amid the festival, crow, dogs, and cows are worshipped and are revered with garlands and delicious foods. People lit candles, oil lamps and other decorative lights to make the place illuminating. And the festival confines with Bhai tika where sister worship their brothers for his long life. Losar is the greatest festival of Buddhist which falls in the month of February. It is also celebrated as the new year of Tibetan and Sherpas. The monasteries are adorned with prayers flags and traditional dances are performed. Feast is organized and family gathering is done to celebrate the New Year. Chat Puja is also celebrated by Hindus particularly; people living in Terai region celebrate this festival with great glory. It falls in the month of October or November and lasts for about four days. People worship the rising and setting sun offering Prasad, fasting and forgoing from drinking water. Eid is the most substantial festivals of Muslims community. At the end of the scared month of Ramjan, Eid is celebrated by the Muslim communities. Amid the month of Ramjan, the people belonging to Muslim community perform a month-long fasting called Roja and eat only at night after the sunset. Christmas is celebrated on 25th of December every year. During Christmas, people decorate a Christmas tree with different colored lights and small gifts secretly hanging by. Kids assume that Santa Claus has put their presents emitted on the tree. Christmas ended with a delightful dinner and dance with family, friends, and neighbors. Food and hospitality are two other things for which Nepal is renowned worldwide. The food here does not have a definite cooking pattern but the taste are always surprising. The ethnic background and climatic condition due to diverse landscape make room for varieties of Nepalese cuisines. Dal/Bhat is the taken as a basic dining. Newari and Thakali cuisines are the most favored cuisines. Unlike other Nepali food which has been altered by the Indian and Tibetan cookery pattern, these two Newari and Thakali cuisines bestow the genuine Nepali taste. Thakali people residing in Thakkhola have inaugurated the Thakali cuisine. The Thakali cuisine is less vegetarian and comprises of dal (lintel), Bhat (rice) or Dhedo, greens, pickle, and meat. They also add dry meat to vegetable curries. Similarly, Newari cuisine is all about the use of buffalo’s meat in various dishes. Choila, Sekuwa, and Kachilaa made with buffalo’s meat are the most popular Newari dishes among people. And for vegetarians, the meat items can be recouped with fried tofu, fried potato, and mushrooms. Newari cuisines also comprise of Chataamari, Dhau (Curd), Lakhamari, Sanyaa, Sanyaakhuna, then, Yomari, all Tama, Bara, Sapu which and may more. Newari cuisine has a wide range of dishes to serve. Alongside these varieties of food “Raksi”, spirits made in bucolic distilleries are also served. Nepal being a diversified land of Himalayas, festivals, culture, and traditions is truly a dream destination for people worldwide. The unique blend of natural beauty, festivals, culture and traditions are bound to sweep your heart away. Overshadowed by the world’s most iconic Himalayas, phenomenal beauty, and rich culture will undoubtedly make your excursion extraordinary. So, if the visit to the extraordinary destinations of Nepal is not on your bucket list then you surely are missing the best trips of your life. Hiking Adventure is the famous and extraordinary tour and trek operator based in Kathmandu. We sort out prominent trip packages in the prevalent goals of Nepal. We offer you with the best administrations by arranging and sorting out your whole holiday package. We heartily welcome our clients from all around the world and attempt the obligation to give our customers an authentic experience of Nepal. We regard our clients’ safety and satisfaction of utmost importance. In this way, in the event that you are searching for reliable and quality adventure activity, then Hiking Adventure is the best decision for you.